George W. Paige was born on 4 October 1849. Nellie S. Paige was born on 16 April 1862. Priscilla R. Paige was born on 20 September 1847. Zeri W. Paige was born on 12 January 1840. He died on 25 January 1842 at age 2. Angelina A. Paige was born on 29 May 1857. Elizabeth A. Paige was born on 29 November 1853. M. DeWatts Paige was born on 11 September 1855. Jeremiah A. Paige was born on 6 September 1851. Calista Kezer married John M. Paige, son of Samuel Paige Jr. and Mary Kezer. Harvey N. Paige was born on 5 August 1859. Caddie Paige was born on 13 April 1864. Fanny Chase married Nathaniel Paige, son of Samuel Paige Jr. and Mary Kezer. Jeannette Paige was born on 19 May 1866. Nancy Paige was born on 28 April 1868. Clara A. Paige was born in 1861. 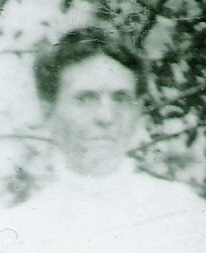 Anna F. Paige was born on 1 January 1863. Carl Anton Armbruster Jr. married Nancy Jackson circa 29 February 1984. [S26] 1900 United States Federal Census, online , Year: 1900; Census Place: Auburn Ward 7, Cayuga, New York; Roll: 1012; Page: 9B; Enumeration District: 0015; FHL microfilm: 1241012. Armbruster, Carl, h, Aug 1865, m 14 yr, GER GER GER, Imm 1884, Florist Gortliebrie?, wife, July 1856, m 14 yr, mo 7-6 liv, GER GER GER Imm 1884 Amelia, dau. Feb 1885 All children NY GER GER Carl, son, Jan 1887 Rosie, dau, Aug 1888 Macy, dau, Dec 1892 Adolph, son, Jan 1895 Flora, dau, Sep 1897. [S234] The Herald Journal, Syracuse, NY, Sep. 26, 1956, p2: Services for Carl Armbruster, of Cayuga R. R., who died Monday at the Veterans Hospital in Syracuse will be at 2 pm at theArthur J. Rolling funeral home in Auburn. The Rev. Robert Paul, pastor of the Immanuel Baptist Church will offici. [S235] Unknown author, Weesport Cayuga Chief, Location: Weedsport, NY (n.p. : n.pub., unknown publish date), Sep 27, 1956, p 6: Carl Armbruster of Cayuga RD died unexpectedly at the Veterans hospital in Syracuse Monday afternoon. Mr. Armbruster was a veteran of World War I. He was a member of John Cool Post of Port byron and Salem Town lodge F&AM. Surviving a. [S593] Auburn Argus, Auburn, NY, ARMBRUSTER—At her late home, No 35 Logan street. Monday morning-March 1,-1909. Gottlelbin Armbruster, agfed 52 years and 7 months. Burial or Cremation Place Auburn, Cayuga County, New York, USA. Nancy Jackson married Carl Anton Armbruster Jr., son of Carl Anton Armbruster and Lydia Althea Decker, circa 29 February 1984. Her married name was Decker. Mary Alice Hagadorn was also known as Mary Alice Hagerden.1,2 She was born in September 1870 at New York, USA.1,2 She lived in 1880 at Red Hook, Dutchess, New York, USA; Age: 11Marital Status: Single; Relation to Head of House: Stepdaughter.2 She married Charles Elsworth Decker, son of Aaron Decker and Lydia A. Forbes, in 1888.1 Mary Alice Hagadorn lived in 1900 at Montezuma, Cayuga, New York, USA; Age: 30Marital Status: Married; Relation to Head of House: Wife.1 She died on 10 July 1961 at Auburn, Cayuga, New York, USA, at age 90.